Photograph of the 2015-16 WHITE FERNS team after they defeated Australia to take an unassailable 2-0 lead in their 2016 T20 series. 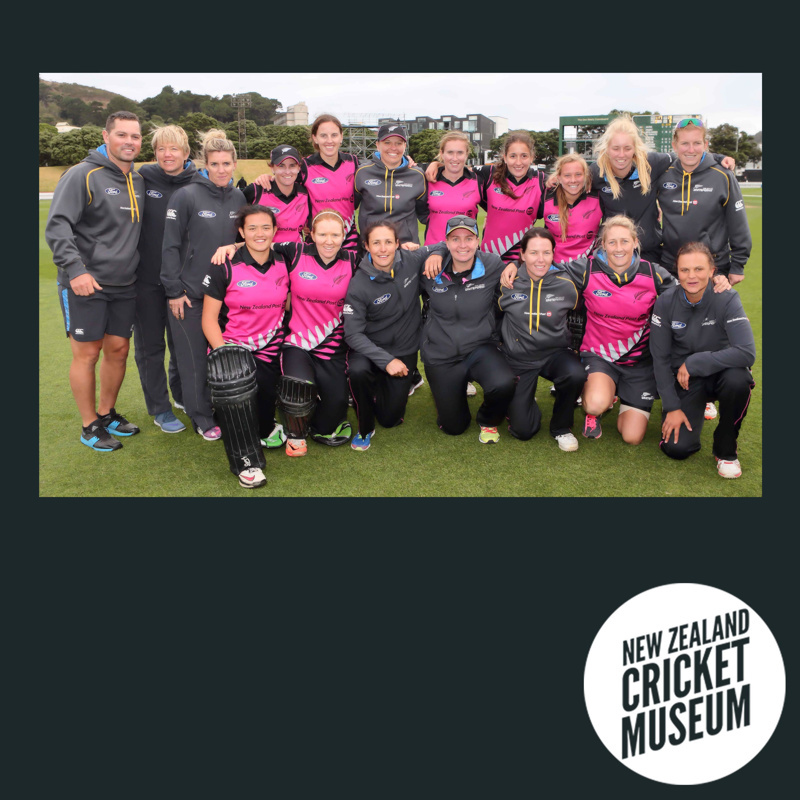 After the first games at the Basin Reserve in Wellington, the series moved to New Plymouth where Australia won to see the series conclude 2-1. Front (L-R): Thamsyn Newton, Katie Perkins, Sara McGlashan, Rachel Priest, Erin Bermingham, Sophie Devine (Vice Captain), Suzie Bates (Captain).